Tell us about your background and your family: I grew up with a stepmom and I can’t believe I am now a stepmom myself! My husband has full custody of his two teenagers, so I’m actually a full-time stepmom. We also have a three year old together so we are one big blended family! I’ve always found a lack of support for stepmoms online so I started my vlog www.NachoMom.club to help create a community of stepmoms that help each other navigate this tricky role in a fun, upbeat way. I am also a Certified Stepfamily Coach, and now published author of the stepmom focused children’s book, I Have a Stepmom: Hooray!. What is the inspiration behind your book, “I Have a Stepmom: Hooray!”? Think of any fairytale or Disney movie. The stepmom is always the evil villain! Just the other day I told my four year old niece that I was a stepmom and she burst out crying! I feel like my role as stepmother is more like fairy godmother than wicked witch. It baffles me that the word “step” still has such a stigma. We need to strive to change this negative perception not only because we deserve it, but also because our stepkids suffer because of it. They should be psyched, not shamed for having a stepmom. How can your book help to shed light on the numerous ways in which stepmothers can impact the lives of children in a positive, healthy manner? All the stepmoms I know play such a positive role in their stepchildren’s lives. From homework help to emotional support to simply making the kids’ dad happy – stepmoms can totally impact the lives of children in a positive, healthy manner. I point out all of these great attributes throughout the book. I also had the book feature a dog family with a cat stepmom so any child reading this book could relate to the characters. Given the number of blended families in our society, how can we begin to frame better conversations around step-parenting and stepmothers in general? And how can we begin providing better support to new stepmothers? I think we need to represent our role as stepmother with great pride. It literally took me years to introduce myself to people as a stepmom in a confident manner. I always felt awkward about it and so worried about what they would think, assume and say. It finally dawned on me one day that I should be loud and proud about being a stepmom. I’ve literally “stepped” up to help raise children that aren’t biologically mine and I’m making it work. Of course there are good days and bad days, but that applies to everyone, not just stepfamilies! I think we all do the best we can with the situation we are in and if someone wants to judge you, then that’s their problem, not yours. I wish I had that kind of attitude since day one! It would have saved me a lot of unnecessary grief. What does a stepmother bring to her family that is uniquely her own? Coming into a family as a stepmom, I think it is very common to feel like an “outsider.” I combat this feeling by showing my husband and stepkids all the great talents and tricks I’ve picked up throughout my life. Oh, the stuff I’ve exposed them to! Spicy Mexican food, handstands, discount shopping, trigonometry, 90’s music, fitness routines and the list goes on! You had a whole life before you met your husband and I’m sure it was full and exciting. How fun to be able to share these experiences that are unique to you with your loved ones. 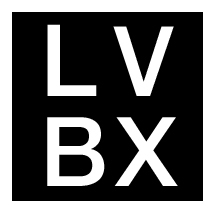 Be sure to tune in on 5.16 at 12 PM EST on LVBX’s Facebook page as Jennifer Zelman discusses her new book and the positives of being (and having) a stepmom. How Do LVBX Staffers Manage Stress?